SINGAPORE: Singapore billionaire property tycoon Ng Teng Fong has died. Family friends have confirmed that the 81-year-old tycoon died on Tuesday. 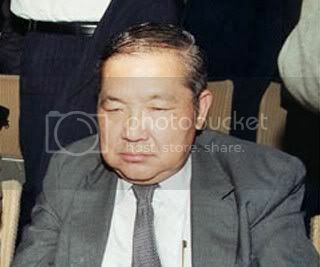 Mr Ng and his family owns Singapore property developer Far East Organization and Hong Kong’s Sino Group. He was ranked Singapore’s richest man in 2009 by Forbes magazine. His family net worth was estimated at US$8 billion in 2009, according to Forbes. Mr Ng was said to have made his fortune on the property market, and owned at least a quarter of Singapore’s housing market. Far East Organisation developed more than 700 hotels, malls and condominiums in Singapore and Hong Kong, and owns Singapore’s Fullerton Hotel. Mr Ng was also one of Hong Kong’s largest real estate developers. He was known for his frugal lifestyle, and till his death, still lived in his home of 30 years, off Dunearn Road. Mr Ng had six children. His older son, Robert, and younger son, Philip, are in charge of the Hong Kong and Singapore businesses, respectively. No Comment to " Farewell, Mr. Ng Teng Fong... "